There are so many great benefits of drinking Coconut Water as part of our regular diet. 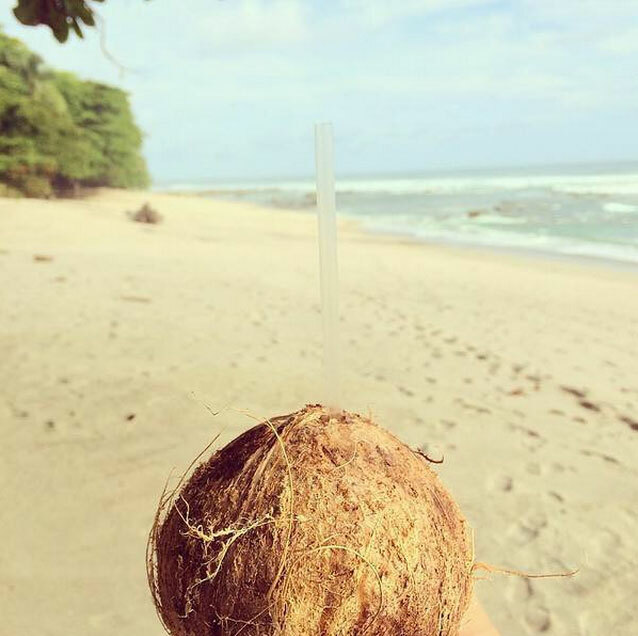 Locally known as Agua de Pipa, coconut water is an essential part of our healthy diet in Costa Rica. Coconut water is the actual juice from inside a young, tender, coconut. It is truly a gift from nature, full of healthy benefits. Here are just a few of the many reasons why we can’t get enough. It tastes great. Coconut water has a sweet and nutty flavor. The younger the coconut, the sweeter the water will be. Whether you drink it straight out of the coconut or mix it into another drink, it is light, sweet, and delicious. It is super-hydrating. Full of natural electrolytes, coconut water is extremely hydrating. Living in an environment that is hot and humid year round, perspiring is simply part of our every day life. Whether you enjoy coconut water after a workout or on a hot afternoon, Aqua de Pipa will help you stay energized and refreshed. It is full of potassium. Said to have more potassium than four bananas, coconut water helps ensure you get enough of this important mineral that is crucial for a healthy body. Potassium helps reduce the risk of heart disease, stroke, and is key for strong vital organs.